At Highrises.com, we specialize in helping people find condos and lofts to fit their needs, so whether you are searching for a building with a beautiful view of the city or a condo with luxurious amenities, we are here to help. With our local market experts, you can locate the perfect condos for sale in Oakland, CA, to suit your lifestyle. For those interested in new condos, Oakland, CA offers many options. Oakland is home to several beautiful neighborhoods that have benefited from a revival in recent years. For instance, Jack London Square is an exciting area full of dining, entertainment, and shopping. For a more relaxed, suburban way of life, check out Lake Merritt Park, Piedmont Avenue, and Glenview condos. Oakland, CA, also offers many things to do. Families will love the Oakland Zoo and the Chabot Space & Science Center, and adults looking to unwind can have fun exploring the unique nightlife options available or exploring the Oakland Ale Trail, which features popular local breweries. You'll find every Oakland loft, condo and high-rise currently available for sale on this site with pictures, pricing and more. 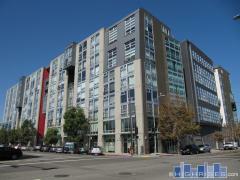 Search all Oakland condo buildings and see what's available in each. Filter by neighborhood, building type and more. Stephanie Pascal is an Oakland high-rise specialist. Contact Stephanie for expert representation. Which Is for You? Condo or House? Listing information last updated on April 19th, 2019 at 3:46pm PDT.